Edgbaston on Saturday did what only test cricket can do. Have you on the edge of your seat for ages while you hope your team can somehow win, against the odds. Three possible outcomes make test cricket such a buzz. Although, one of those results is fast becoming a much bigger price in test cricket than at anytime since uncovered wickets, that being the draw. Why is that? A little because we play on uncovered wickets where the weather rarely intefers and we can claim extra time but mostly becuase we play so much limited overs cricket across the globe that so few batsmen know how to occupy the crease for any length of time and nor do they wan to. I would also give a little credit to Steve Waugh, who at the turn of the century and in charge of an exceptionmal team, told his batters that they batted down to 9 and he expected them to score at 4 runs an over- not the miserable 2.5 an over we had all become used to. His theory being that you have to take 20 wickets to win a test so the longer you have to do that the better. Not that Meesrs warne and McGrath needs the 5th day very often. However, thats what you do when you have a great team but lets not underestimate how the 20/20 game has changed our test cricket, forever. It seems to be that playing at every ball is compulsory these days and simlarly with bowlers who expect to take a wicket every ball. So much for the game plan. That aside, what does tomorrows Lords Test look like? A belter, thats what. The type I really like. None of you high scoring nonsense, a fight to stay in and bowlers attacking batters and for once getting the upper hand in the fight. Where a 76 made over 2.5 sessions is a match winner and 28 from number 11 absolutely vital. Nothing gracious or romantic – a dog fight where its not the size of the dog in the fight but the size of the fight in the dog that prevails. Well at least that’s what I want. Will I get it – maybe! I dont think it will be 400 plays 450. I think it is more like 320 plays 290 and for that reason I expect a result, of course. But which way. Well here goes the big statement. That was India’s chance last weekend. 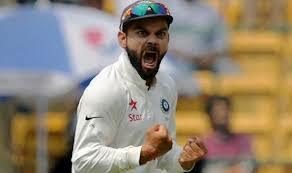 They do have the best batsman in the world in every genre, in Virat Kholi but I remember so clearly the last time India were here and it was late in the season, just like this. India won the first test but never got a look in after that, as soon as the ball started swinging. Guess what, it’s swinging now and like the cold steel against the Fuzzi- Wuzzi’s, they dont like it up-em Captain Mainwaring. I think the hierarchy would be crackers if they let the groundstaff shave the remaning green grass off the pitch. England have the best ammunition to exploit it. Anderson is still the best seam/swing bowler in the world and when Broad is on song he is super (he looks close right now). 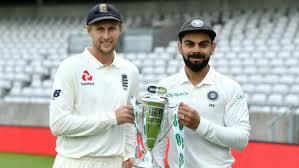 Woakes, if he plays, is a worthy repalcement for Stokes as he is always at the batters and puts in a good shift and his name sounds like him as well – so thats good!! 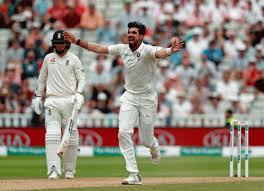 I would prefer they play him rather than Ali as I think the Indians would love to play the off spinner as a preference and despite what all the pundits said before the 1st test, our leg spinner did a great job, under pressure. Perhaps they could try getting behind him now. With the exception of Kohli, man for man England are a better batting team. They bat deeper and are more able to cope with difficult conditions. Pope is a great pick. He is avergaing 85 in county cricket and picking people in form to make their debuts I am all in favour of. I hope he does really well. So, logically my bet is to back England to win. All prices correct at the date time stamped of publishing.